What are your plans for Father's Day? We usually have our annual camping trip with the family, but this year being almost eight months pregnant, the hubby and I decided to pass on camping and stay home to spend Father's Day with the kiddos. So we will be taking them to the local Father's Day Carnival. The kids are pretty excited and so is dad. Dove Men+Care products will help keep the guy in your life groomed from head to toe. Not only do these products smell so wonderful, they also help hydrate your body so that all you have to do is get dressed and start your day after using them. 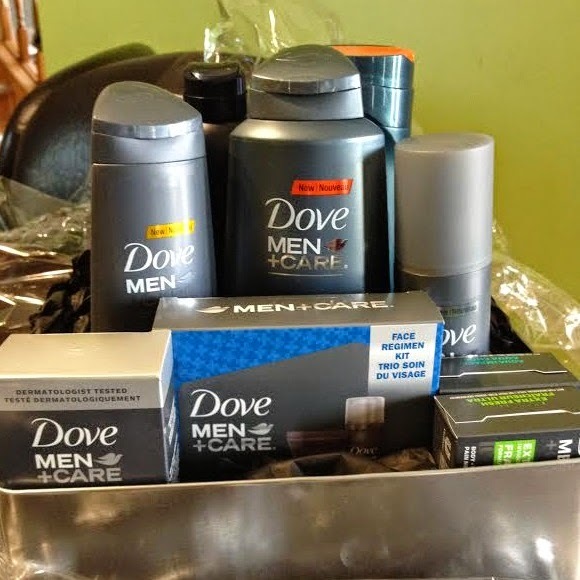 To learn more about Dove Men+Care products be sure to head on over to Dove Canada.